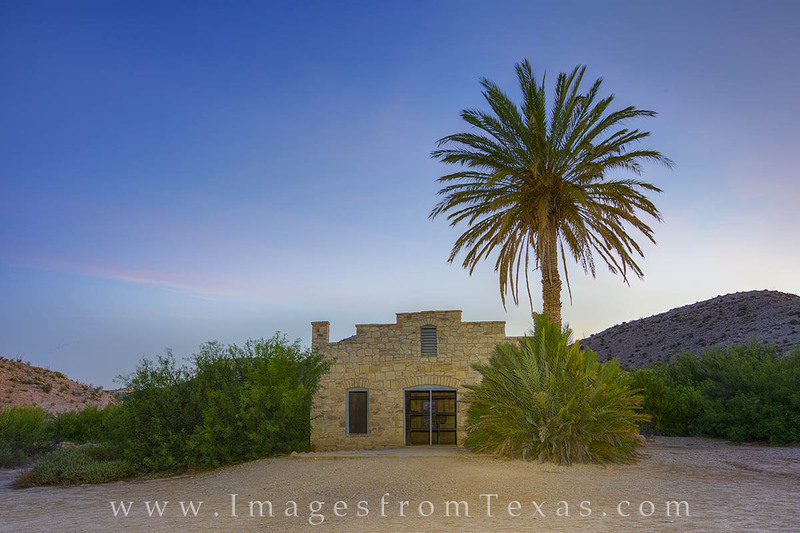 This Big Bend photograph shows the remains of an old post office near the Rio Grande River. Once part of a resort, this area is now just a forgotten memory along a path leading to hot springs. Seen here a little before sunrise, the post office reminds visitors of a bygone day. Photo © copyright by Rob Greebon.